Headquartered in Montreal, Mexicom Logistics has over 14 years of experience providing reliable Full Truckload (FTL) shipping services throughout Canada, the USA, and Mexico. Our FTL service is fast and totally reliable. If you are looking for a fast cargo transportation service that includes efficient transportation across the North American borders, especially between Mexico and the United States, you are in the right place. First, an efficient cross-border US-Mexico expediting for direct and trans-loading shipments. Moreover, we follow-up and manage all involved parties. For example, Trans Loaders, Customs Brokers and Transfer Agents. If needed, we offer border trans-loading from an American or Canadian trailer to a Mexican trailer, or vice-versa to save costs. Furthermore, we are a trilingual team that speaks English, Spanish and French and is capable of expediting with all parties involved. 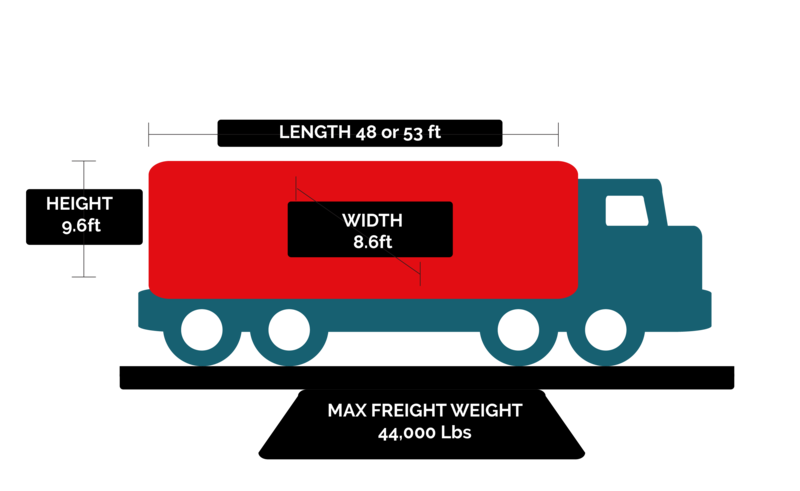 What is FTL or Full truckload? FTL or Full Truckload is the ground transportation service in which a full truck is dedicated for a single load. The FTL transport service is suitable for large loads, that are capable of occupying a complete truck. It is also the prefered option for delicate loads or for loads that require regulated temperature. One of the great advantages of FTL transport is that, since it is a dedicated truck for a single load, no scales are made to lengthen the transit time. So among all the ground transportation options, the FTL or full truckload, is the fastest. 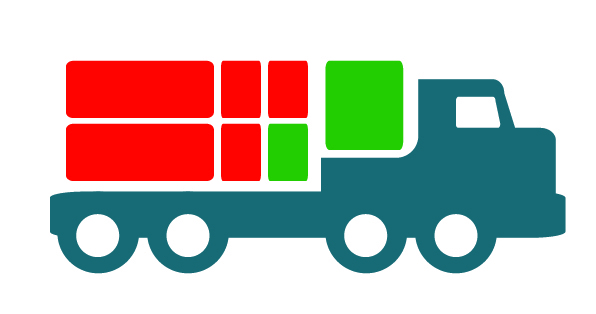 When shipping in a FTL ground service, cargo is handled only twice: at the uploading during the pickup and at the downloading at the final destination. This reduces the risks of possible damage during cargo handling. this is why FTL is an excellent option to transport delicate loads. Mexicom Logistics offers FTL truck transportation throughout Mexico, the United States and Canada, with the most efficient cross-border crossing. 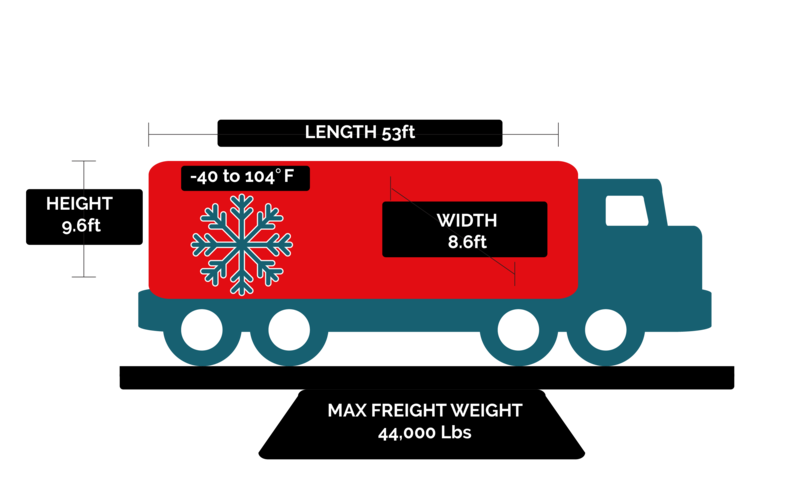 With a maximum weight of 21.7 tons or 44,000 pounds. Our FTL transport service in Dry Vans throughout Canada, the US, and Mexico is the fastest solution to transport your loads. 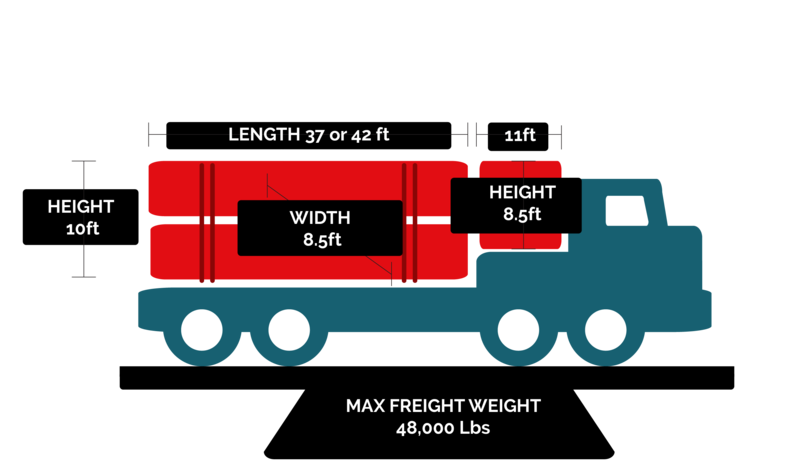 For loads with a maximum weight of 21.7 tons or 44,000 pounds. Our FTL transport in reefers is the most reliable option to transport fresh or frozen goods across North America. 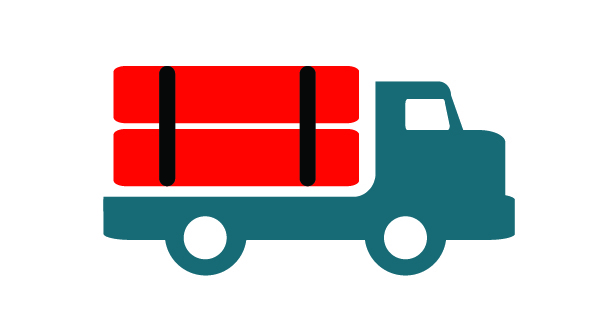 If your cargo does not need to be transported in a closed Dry Van or at a specific temperature, transport your FTL on a flatbed, step-deck or double-drop. Mexicom Logistics offers the lowest rates in its FTL service in flatbeds between Canada, the United States and Mexico. Are you looking for a southbound FTL service? First, Mexicom’s logistics experts speak English, Spanish and French, and are capable of expediting with all parties involved. Second, we have over 14 years of experience offering reliable and fast Full Truckload FTL transportation services throughout Canada, the US and Mexico. This, always guaranteeing the best service at the most competitive prices. Above all, Mexicom Logistics has developed a strong relationship with its Canadian, American and Mexican customers by providing them truthful freight transport services. This is because Mexicom Logistics has a real commitment to the growth of its customers. Nobody knows better the transport of cargo between the United States and Mexico than Mexicom Logistics. Not only do we understand the language and culture, we also master the process of transportation of merchandise across the border. This includes documents, times and other requirements. 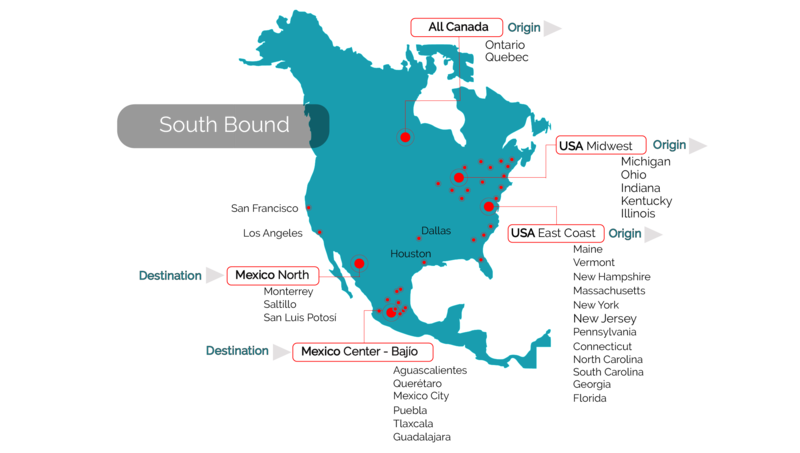 As a result, we can guarantee our customers an efficient FTL transportation experience across the borders of North America. The border crossing between the United States and Mexico is one of the busiest in the world. Its geopolitical position, the type of goods transported and the high cross-border control, make it very complex. 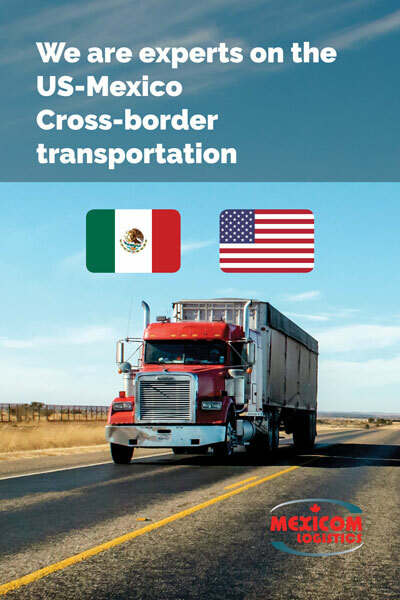 To understand the basic aspects of the freight transport process between the US and Mexico, we invite you to read our blog post on this topic, here. Save money by sharing transportation costs with other companies. Daily consolidated shipments between Montreal, Toronto, Laredo and all of Mexico. Flatbeds, lowboys, double-drops, RGN, Tandems. Tarps, frames, sides, curtains or any other equipment you may need, just ask us. If your merchandise is too heavy, too long, too wide, etc ... we have the solution! 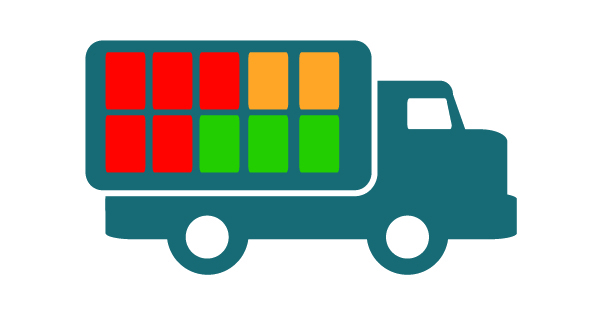 March 27, 2019 What is the difference between Full Truck Load and Less Than Truckload (LTL)?